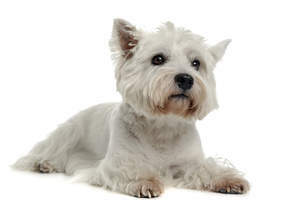 The West Highland Terrier or Westie originated from Scotland, where is was used in fox/badger hunting and also in the control of vermin. They are a small compact dog with dense fur and shortish tail. Originally known as Poltalloch Terriers, they were first registered with their modern name in 1908 with Kennel clubs across the world. 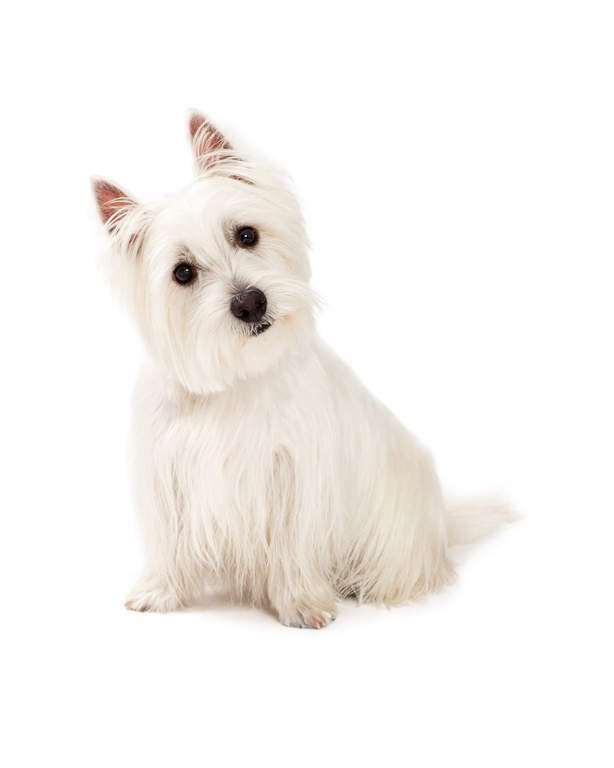 Westies are independent, happy and curious dogs. They like human company and are good within a family. They tolerate children if shown respect, but can be snappy with overly boisterous children. They are usually fine with strangers. 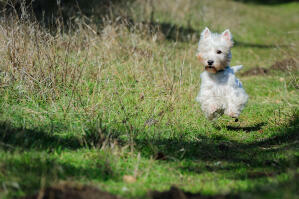 For a small dog they have a surprising amount of energy and need a fair amount of exercise. Recall is usually not a problem if trained, but having a high prey drive, they can vanish in pursuit of anything small and furry. 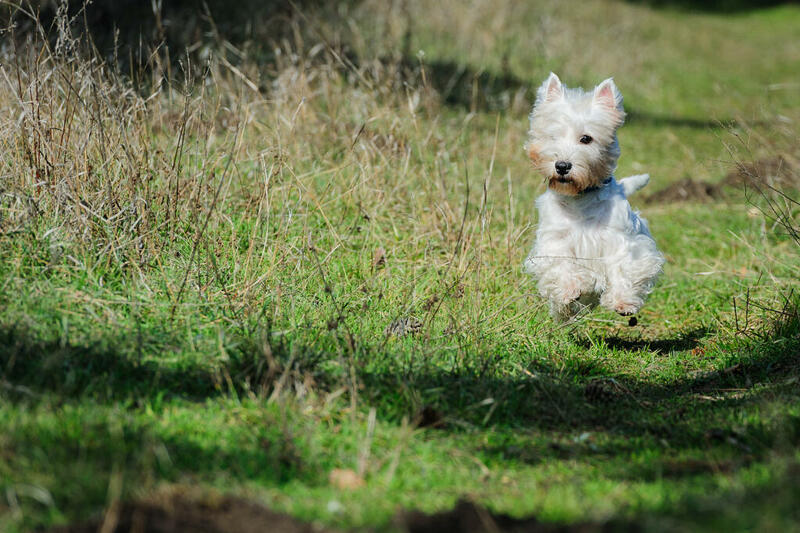 A long daily walk or a couple of shorter ones will keep this dog happy, but they do need mental stimulation within the home to stop them becoming destructive. With training, they can be stubborn, but are intelligent and thrive on different forms of training. They bond closely to their owners and like to please, but training will have to be consistent throughout it's life as they can push boundaries, and will want to be boss. 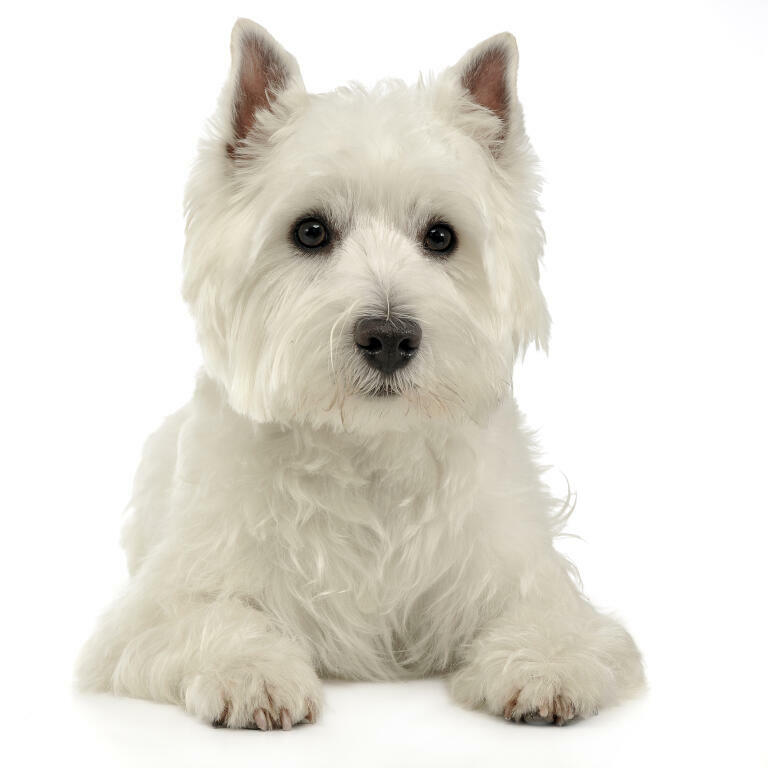 Westies are highly sociable and like playing with other dogs and people. Early socialisation is important as they can become aggressive to other dogs if not properly introduced. They will forget how big they are and can be fearless if they aren't happy about a situation. They have a decent bark and know how to use their voice. They make good watch dogs and will let you know when someone is at the door. 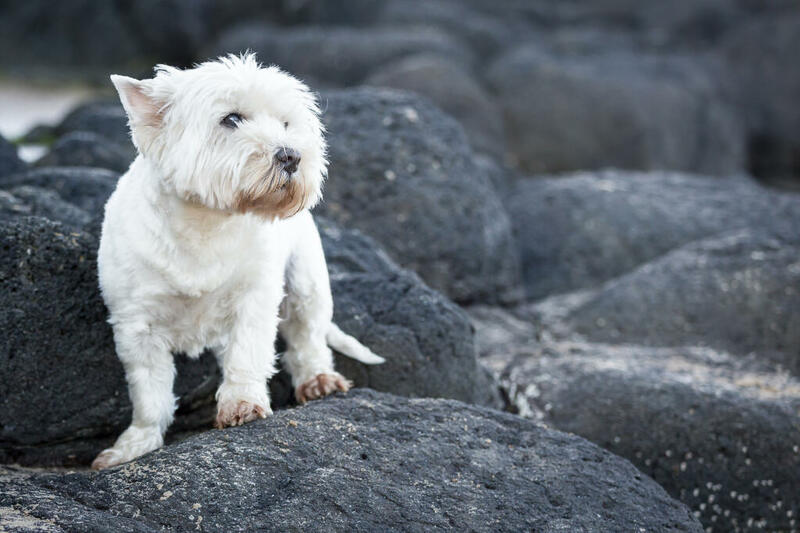 Playing with a ball is great fun for a Westie, they like to be on the go at all times, but if content, they will happily sleep on your sofa and relax. They like to dig and splash around in puddles, not something best suited to their white coat. Getting them used to baths and grooming from an early age is vital. They will require brushing a couple of times a week and clipping/stripping every few months to keep their white coat looking it's best. Health wise, as a breed they can suffer from skin conditions. Specialist food can sometimes help with this. 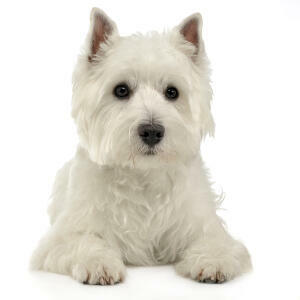 Westies can also suffer from Craniomandibular Osteopathy which is hereditary. 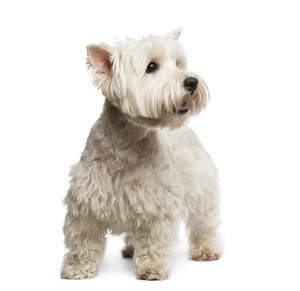 West Highland Terriers have a happy go lucky and curious temperament. 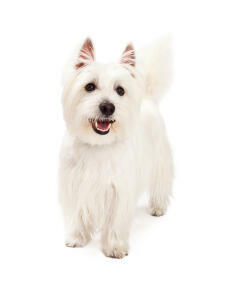 Very self confident little dogs that crave your affection the Westie makes an amusing companion. Like most terriers Westies are quick to sound the alarm to any visitors and tend to have a yappy response to any strange dogs they meet. 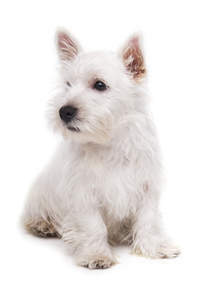 Regular consistent training is important with a Westie or you may have a little temper tantrum on your hands when hes not allowed on the sofa. Health problems that may affect West Highland Terriers include allergies, epidermal dysplasia (a nasty skin condition), copper toxicosis (build up of copper in the liver which can be fatal), eye diseases, lysosomal storage disease (degenerative disease of nervous system), luxating patella (dislocation of the kneecap), Legg Calvé Perthes disease (degeneration of the femoral head which can cause lameness and joint swelling), canine hip dysplasia (CHD), deafness and digestive diseases.